The owner of this excellent development site very close to Cairns CBD at 102 Hartley Street has reduced the price for an immediate sale. The rectangular site of 4,535 sqm currently has an excellent holding income from a set of fully leased warehouse/workshops that would not obstruct the development process. Zoning is medium impact industry. 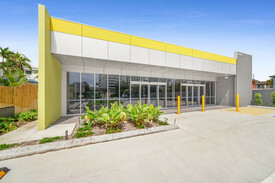 Contact: Exclusive agent Helen Crossley-Ray White Commercial Cairns for more information.